I have a question please. 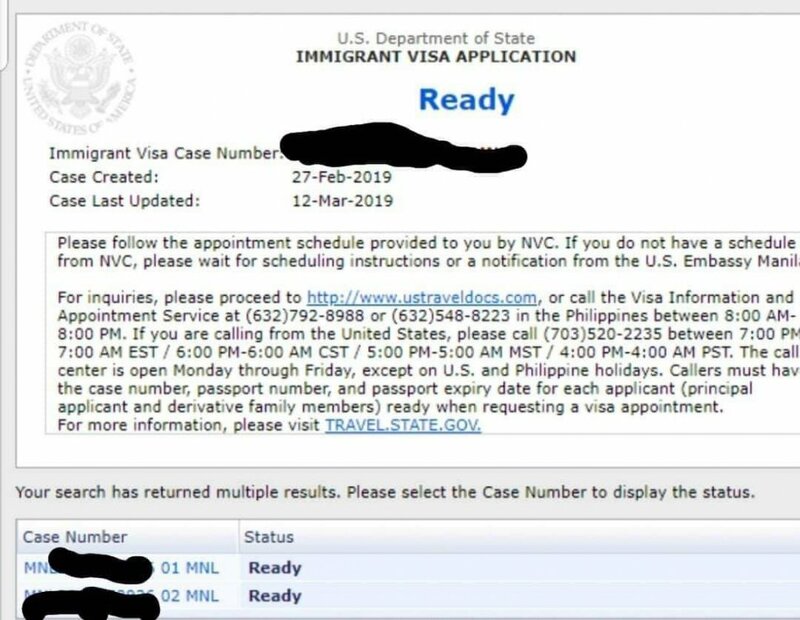 We already recieved our eligibility letter from USEM, and our case is ready which is to schedule our medical and interview in Manila. 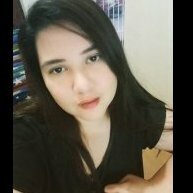 But the problem is my other k2 youngest child is not included in that letter, only me and my eldest daughter are included in my eligibilty letter. 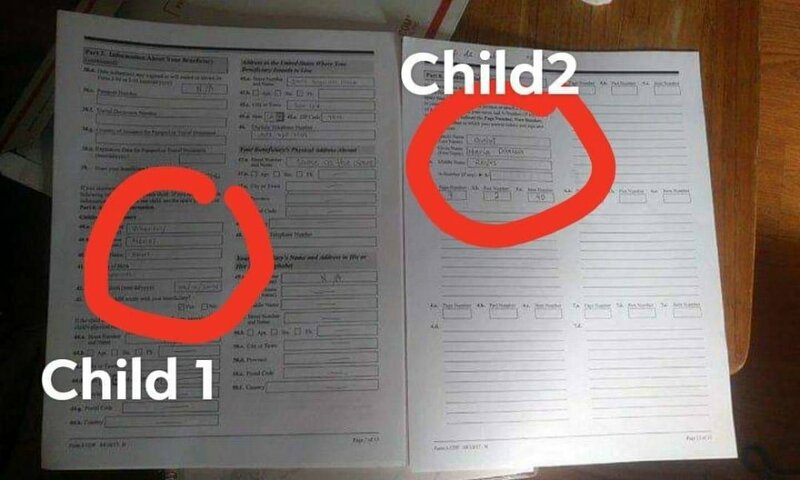 But my fiance is 100% sure that he listed my two daugther in l-129F, cause we have the scan copy of that form before we send it. And we already send the copy of their passport, PSA birth cert and 2x2 pics and all the documents in the USCIS. Can you give me an idea what will gonna do just to make sure my youngest k2 can be join to me in the US? Thanks in advanced. try to contact the embassy. and bring all the documents that will prove that you include your youngest in the petition. We already call the embassy here in manila, and they ask me to send the biopage passport and a bith cert of my yougest to support-philippinestraveldocs.com but still no update its been 3weeks after we send those documents. On your NVC letter are all your K-2 listed with a case number? For the Philippines it will start with MNLXXXXXXXXXX - 01 for mom and the 02 for first child and 03 for second child so on and so forth. If you have them listed then you can schedule your interview appointment and you can complete the medical with the NVC letter. You don't have to wait for USEM. BTW, it usually and sometimes can come to the petitioner's email address and sometimes it is sent to the beneficiary's email. Check your spam folder as it may have gone directly there. If not I'd be on the phone everyday to USEM getting this straightened out. This is thw screenshot of my NVC case ready at their site. Can you please help me with his. With the 3rd child missing from the NVC ready picture that you posted I would say that you would have to continue to work with the embassy to resolve this. I would not give up I would be persistent and I would call them every day until you get something in writting. You can and shouldn't attempt to go any further till getting this corrected. Whats the best thibg i can do to resolved this case with my other missing k2? Please help me. Its been 3week still no update from embassy. Read my answer as I have explained what you need to do. I stated that you need to contact the embassy every day till you get this resolved. Don't wait for them. Have your fiancé send a copy of the I-129F to you, so that you can show the embassy that he included your youngest child. Okay. You shouldn't post that here if it contains personal info (full names, etc). I can't really see it on my phone, lol, but the mods will likely delete the image. But, if I'm understanding you correctly, this is a photo of the actual form that you submitted? If so, definitely present that to them. I don't know whether email is the way to go with USEM, but I'm sure others can chime in here. @geowrian, @Hank@Cyberfx1024. And like @Greenbaum has already stated, you need to keep on them about this. It sounds like a clerical error more than anything.